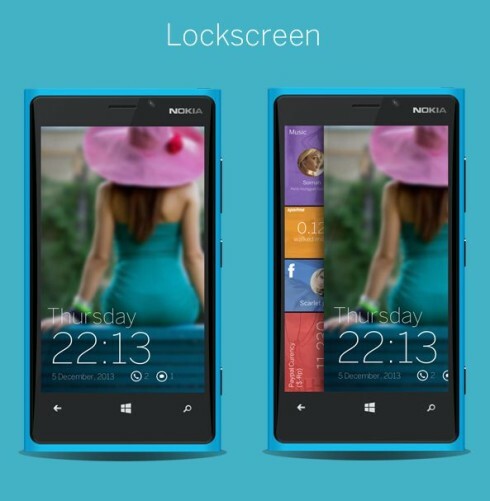 Ghani Pradita from Indonesia shows us his concept for Windows Phone 9, an OS that has been rumored to unify Windows 8 and Windows Phone 8 under one common roof. The designer of this UX/UI focuses more on useful stuff like notifications and accessibility. 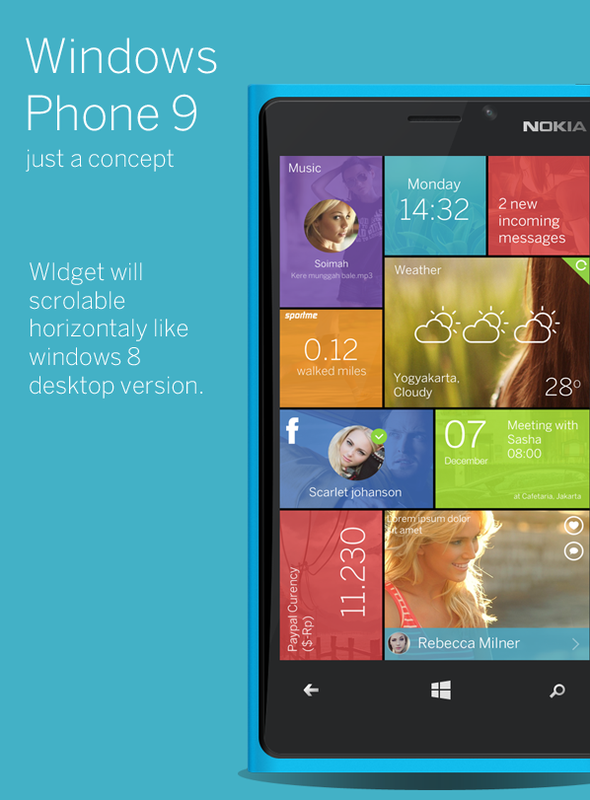 For one thing, the “widgets”, as he calls them will be scrollable horizontally, like on Windows 8. I guess he’s talking about an evolved version of the dynamic tiles, that will now be moved on the screen, pretty much like we do in Xbox Music. Then there’s the aspect I like the most about Windows Phone 9: you can swipe down to open a panel of shortcuts, just like on Android. 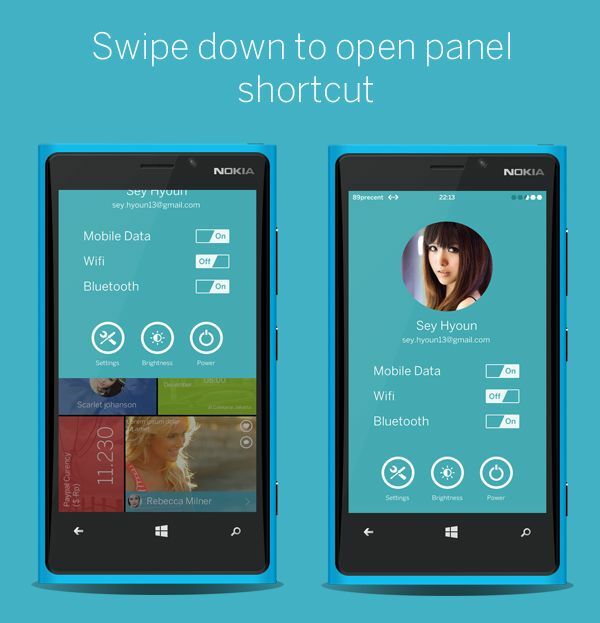 The design here fits perfectly with the simplicity of Windows Phone and all the shortcuts are vital ones. Just have a look at the LG G2 notification area and you’ll think one thing: clutter. Finally, we also get a lockscreen concept, that allows us to have a small peek at the tiles behind it. Pretty cool right?